A heat pump system extracts heat from the outside of your home and transports it to the inside. A heat pump system has a reversing valve so the system is capable of switching directions. Heat pump systems are one of the most cost effective and efficient heating systems available today. 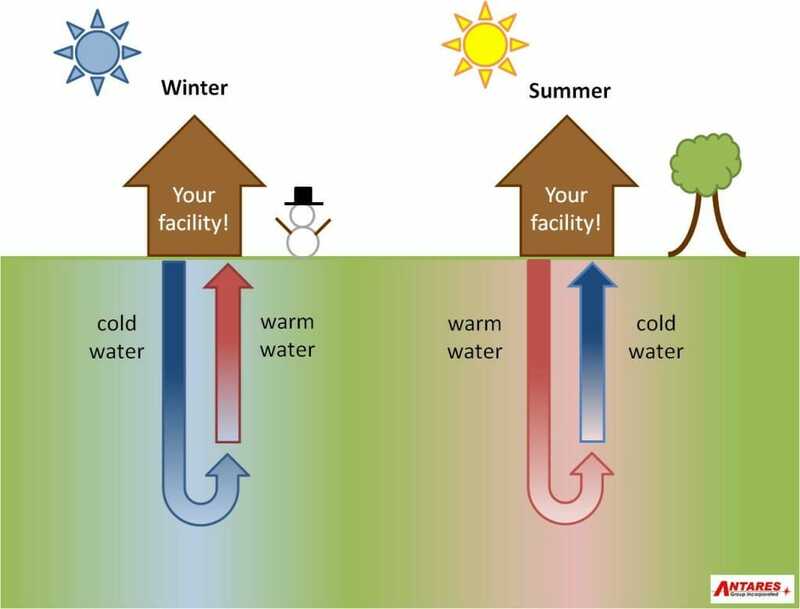 The two most common types of heat pump systems are an air source heat pump system and a geothermal heat pump system. 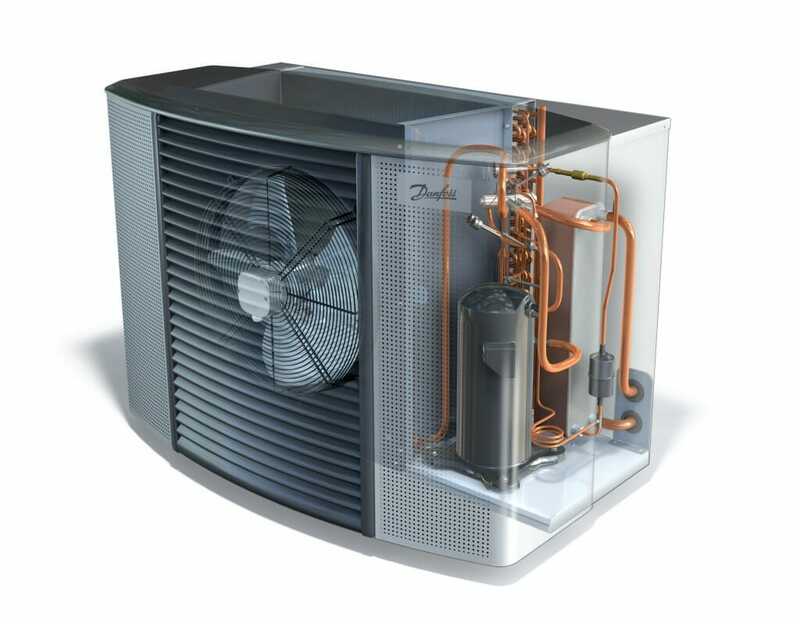 Below you will find a simple explanation of how a heat pump works, the different types as well as the considerations you should take after purchasing one of these systems to maintain peak performance. Split systems are those systems where there is both an inside and outside component. Package systems use a single housing to contain the condenser, compressor, and evaporator and blower system. They are often used in rooftop applications. Ducted air source systems are those systems connected to a series of ducts or ductwork, which provides an efficient means to transport the conditioned air. Ductless air source heat pumps require zero ductwork. They consist of an outside unit “the condenser and compressor” and an inside unit “the evaporator and blower assembly” connected by the suction tubes and wiring. The evaporator, responsible for air circulation, usually hangs on the wall or is suspended from the ceiling. Air source heat pump system installation costs an average of $4,000 to $5,000. The heat pump pricing will vary based on the number of units needed to create the perfect heating zones in your home. Geothermal heat pumps are often referred to as ground source heat pumps. This heat pump system uses the earth’s constant ground temperature to provide both heated and cooled air. Some models are also capable of producing domestic hot water, which is a valuable option. These high efficient systems sometimes include variable speed fans and two speed compressors, which further increase their efficiency in both energy use and performance. Lifespan: 25 to 50 years. These systems are the tanks of the heat pump world, with expected equipment life spans of 25 to 50 years. They also are much quieter than their air source heat pump counterparts and require less maintenance. However, these added benefits do not come without a cost as you can expect to pay significantly more for a geothermal heat pump system versus an air source heat pump. A 2500 square foot home needing geothermal heat pump installation will cost on average about $20,000 to $25,000 to install. This is twice as much as the typical heating, cooling, and hot water system, but geothermal heating & cooling systems can reduce utility bills by 40% to 60%. No matter which type of heat pump system you choose, you should notice benefits almost immediately. A heat pump system provides reduced energy consumption which means you will benefit from smaller utility bills and also be helping the environment by reducing your production of greenhouse gases. Since these heat pumps use electricity, there is no danger of being exposed to carbon monoxide gas, as is so often the case with combustible heating systems. Carbon monoxide is extremely dangerous and can cause severe injury and even death. You and your family can also sleep easier at night without worrying about the fire hazards associated with combustible fuel systems. A heat pump system will provide your home with years of uninterrupted service providing it is maintained and serviced properly. Heat pump systems require annual maintenance, service, and cleaning to maintain their high efficiency performance. This requires the services of a professional heating and air conditioning technician. However, you can also do your part in maintaining your heat pump system by changing the filter and cleaning the return and vent registers regularly.